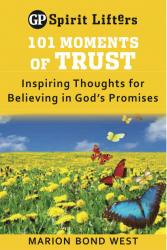 Moments of Prayer: Inspiring Thoughts for Listening to God to purchase for $2.99 click on the link. Join Elizabeth Sherrill, longtime writer for the bestselling devotional, Daily Guideposts, as she takes you on a journey that will help you appreciate life's little moments where you allow yourself to truly listen to how God is speaking to you. 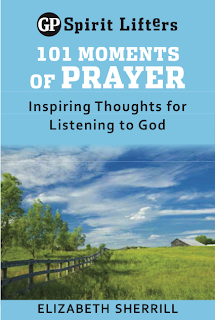 With carefully chosen Scripture passages for each day and thoughtful devotional entries, 101 Moments of Prayer will be a refreshing addition to your quiet time. 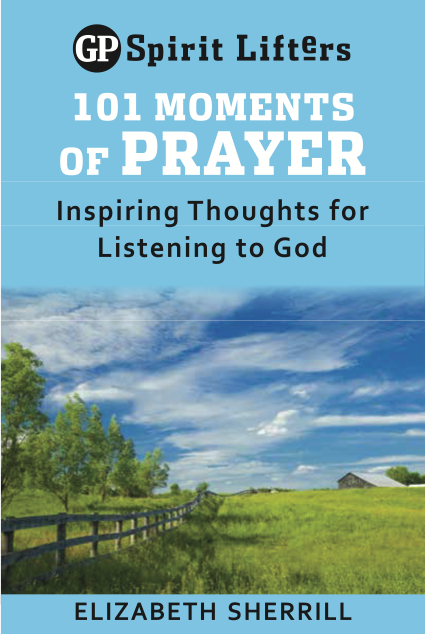 If you're looking to grow in your faith while enhancing your daily practice of prayer and reflection, you'll find a wonderful companion in 101 Moments of Prayer, part of the Guideposts Spirit Lifters series. Join Marion Bond West, longtime writer for the bestselling devotional, Daily Guideposts, as she takes you on a journey that will help you trust in God's abiding strength and love no matter what challenges life brings. With carefully chosen Scripture passages for each day and thoughtful devotional entries sharing real-life experiences, 101 Moments of Trust will be a refreshing addition to your quiet time. If you're looking to grow in your faith while enhancing your daily practice of prayer and reflection, you'll find a wonderful companion in 101 Moments of Trust, part of the Guideposts Spirit Lifters series. Elizabeth ("Tib") Sherrill has published some 1500 articles and authored more than 30 books, with sales in excess of 50 million. Book titles, many co-written with her husband John -- include The Hiding Place, The Cross and the Switchblade, God's Smuggler, They Speak with Other Tongues, and Return from Tomorrow. Her most recent book, All the Way to Heaven, recounts for the first time her own journey from atheism to profound commitment. For over sixty years, Elizabeth has been a writer and editor for Guideposts Magazine. For the small price of $2.99 each you can own these inspiring Ebooks. I've enjoyed doing a small morning devotional with my children. We would read the short story and then look the scriptures up and read them and then we talked about how we have been affected by the story or if something similar has happened to us. My daughter told us this story, Our friends the Horton's sold their house in one day and then several weeks later the buyers decided to back out on the deal. This was heartbreaking news for our friends because they had already purchased a lot and started the process to build a house. My 12 year old daughter stepped out in faith and prayed that the buyers would change their minds and not back out. Guess what? The next days the buyers called back and changed their minds and are buying the house now. Makenzie said she wasn't surprised because she had prayed and believed that it would happen this way and she knew it was going to happen because of all of the 101 Moments of Prayer that we had been reading!